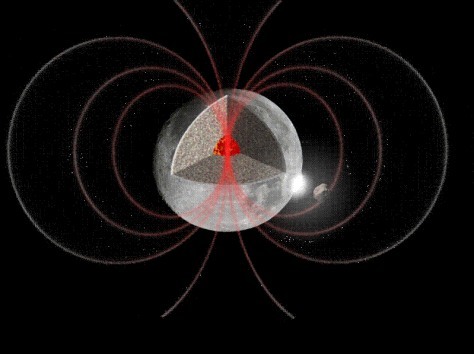 Is the mystery of moon's lost magnetism solved? This illustration shows one suggested mechanism for creating an ancient magnetic field on the moon. In this scenario, impacting space rocks on the moon would create instability in the moon's core that could lead to a dynamo that creates a magnetic field.